With LCD channel information display, more easy to check the status of the receiver's work. Amazing operating range is up to 60m. 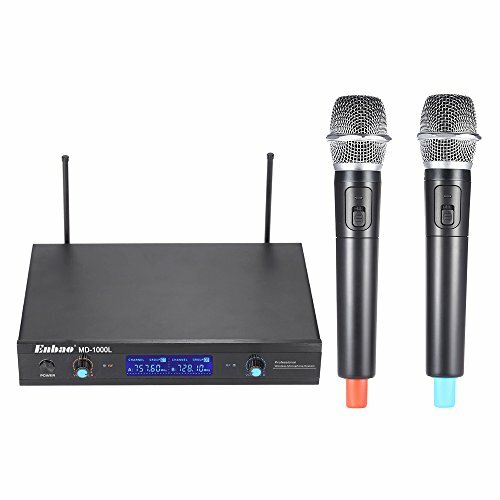 Walmeck wireless microphone system with 1 dual channels receiver and 2 handheld MIC. Easy to install, plug and use.